The Smithfield pendant lamp was designed by the British designer Jasper Morrison for Flos in 2009. Even in its LED version, the lamp is characterised by the classic Morrison design language: minimalistc with clear lines. The striking lamp is made of polished and painted aluminium, kept in traditional and simple colours. Together with the harmoniously designed shape, the light is characterised by an elegant overall appearance that easily fits into different environments. 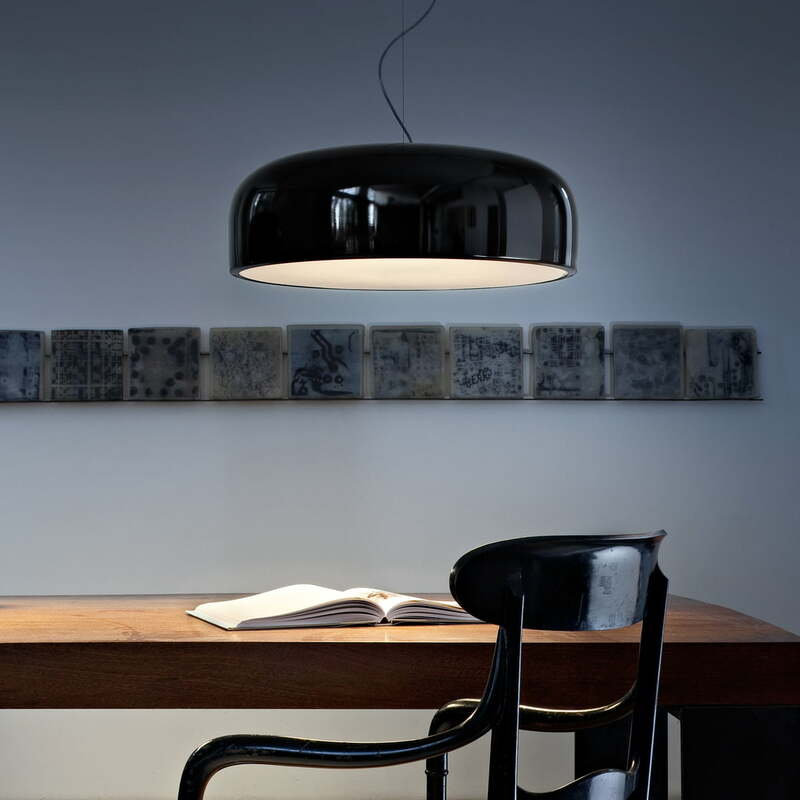 An opal methacrylate diffuser in the lampshade ensures a soft light output. The downward light makes the Smithfield pendant LED lamp ideal to illuminate dining tables or desks without glare. The canopy is made of steel. The slim cable has a usable length of 400 cm. Isolated product image of the Smithfield LED Pendant Lamp by Flos in white. The canopy is made of steel. Attached to it is the slim cable with a usable length of 400 cm.